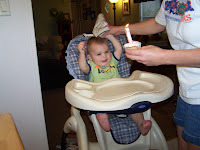 I can't believe Daniel turned one this week. 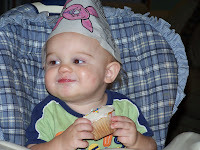 These pics are of David helping make cupcakes for Daniel on his actual birthday, Monday. 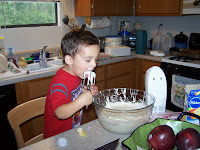 David seems to enjoy helping and gets a delight out of eating the mixers, of course. 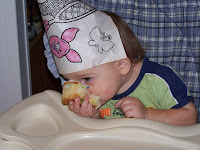 They had a great time eating there cupcakes and wearing there "homemade" party hats. We had a bigger party Sat. and enjoyed the company of friends from Sunday School and even their babysitter Kaley came. Daniel did everything right. 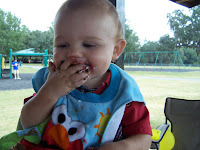 He loved his Elmo cake and really loved chowing on it. 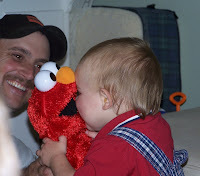 He got an Elmo from grandma and papa, which was the highlight of his day. He dances in circle when Elmo sings and laughs at all his messages. I am taking him for his official pictures this week. I guess I should give him a haircut, huh? Too cute! We had so much fun. We were at the park today and Adeline kept looking for Daniel. It was rather cute! 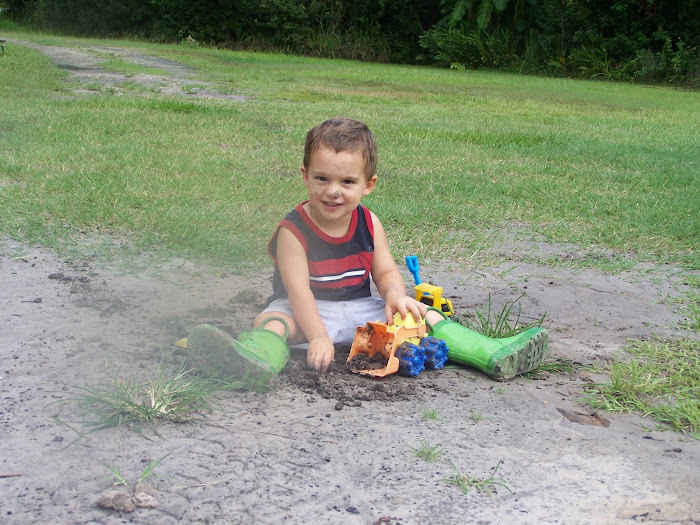 Love the blog :) We love Amelia Island too.